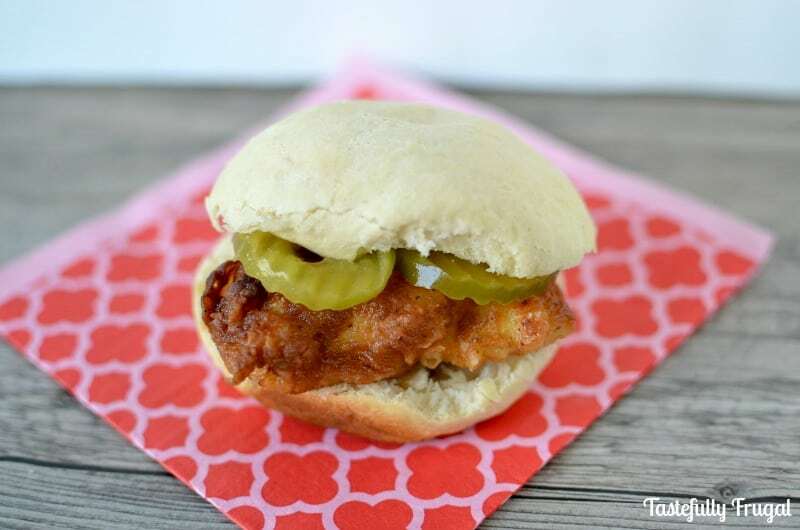 If you love Chick-Fil-A, you are going to love these crispy, juicy sandwiches! One of my guilty pleasures is Chick-Fil-A. We don’t go there that often because with two kids it can be a little pricey. We actually went just the other day and used some coupons I got in the mail for a free salad and shake. We paid $5 but if we didn’t have the coupons it would have cost $16. I’ve really been trying to cut eating out out of our budget. Of course, occasionally it’s OK, but I want occasionally to be once a month not once every two weeks. My solution for this is making my favorite take out recipes at home! You may remember my Better Than Takeout Sesame Chicken from a few months ago, or one of my very first posts (and still to this day my boys’ favorite treat) Copy Cat Sonic Slush; making my family’s favorite treats at home is a win-win for me. One, I don’t have to spend eating out. Two, eating out with 2 kids under the age of three is a joke. And three, most of the time my version is healthier; most of the time. The inspiration for this meal came from my husband saying how much he loved Chick-Fil-A sandwiches. He does so much for our family and never asks for anything in return so I like to surprise him with little things to let him know I do appreciate what he does for us. I found this recipe from Raining Hot Coupons a few months back and have finally tweeked it to my families liking. 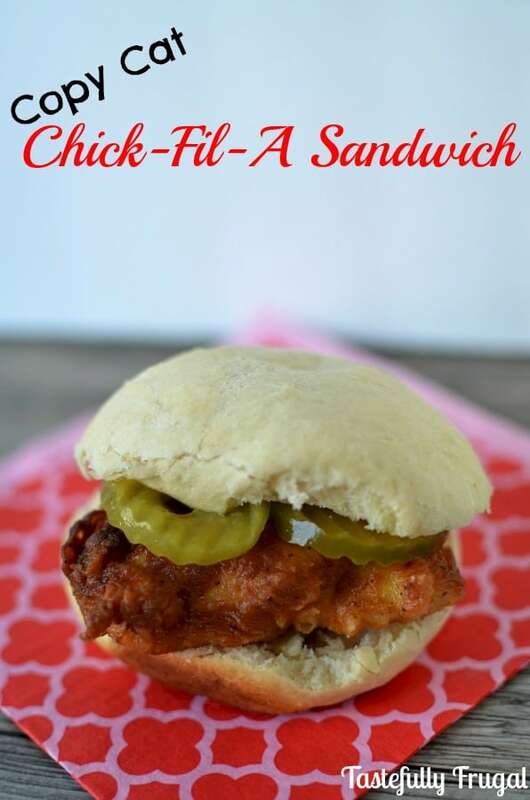 So if you love Chick-Fil-A like we do, give this sandwich a try; you’ll be happy you did. Cut chicken breasts in half lengthwise and width wise so you have 8 pieces of chicken. Marinate chicken in pickle juice in the fridge for at least 2 hours. In a second bowl combine flour and spices. Heat oil in a large skillet over medium heat for 2-3 minutes. Dip chicken into egg/milk mix and then into flour mix (make sure both sides are fully covered in flour). Cook in pan for 5 minutes and then flip and cook for an additional 5 minutes. Let cool on a paper towel lined plate. Be very careful when flipping chicken in oil. I use our BBQ tongs so I can stay away from the popping oil. The original recipe calls to only let the chicken cook for 2 minutes per side but every time I have made these they need at least 5 minutes per side. If you are wanting some more Chick-Fil-A goodness, you can also check out my Chick-Fil-A Nuggets recipe. What’s your favorite fast food treat? Yum! That looks delicious. We don’t have chick fil a in Canada so I wouldn’t know what the food is like but this? Looks super tasty! Oh man; we need to get some Chick-Fil-A’s up north…they are so good! Thanks for stopping by! Oh goodness, you’re killing me here. 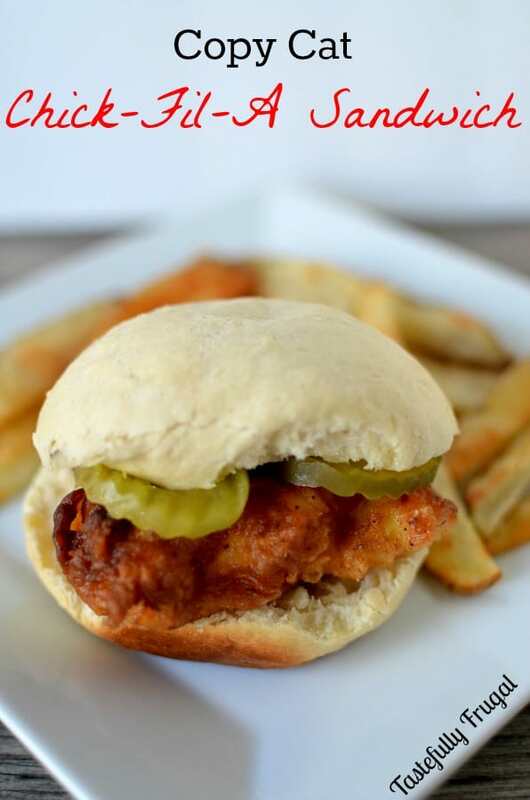 Chick-fil-a is one of our favorite places to eat and to be able to mimic their amazing chicken sandwich would be awesome. 🙂 Thanks Terri!! We have definitely not gone their as much now that we can make these at home, but it’s still fun to go every once in awhile. Chick-Fil-A is my favorite place to go with my family and their sandwiches are amazing! This looks pretty good, looks like it! Thank you so much! It is our favorite family fast food choice too! Oh man that has got to be so hard! Definitely try these, it will almost be like eating at Chick-Fil-A minus their awesome fries and those cute ketchup packets! Copy cat recipes are way fun to figure out. This looks good~! 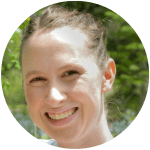 Carol Cassara recently posted…No is a complete sentence. I always enjoy trying to create my favorite restaurant treats at home! Thanks Carol!! Oh, yummy! I need to try this. I love chick fil-a. Thanks for the copy cat recipe. They are my favorite too! Thanks Beth!! Your copy cat recipes always look soo good, Sydney! I’ve never had Chick Fil-A but should try your version! Those pickles look like the icing on the cake! Hope you have a wonderful Easter weekend, friend! Thanks so much Kendra…and the pickles definitely are my favorite part! Thanks for always leaving such sweet comments friend! Oh my goodness – this sounds SO good! Pinning now to make soon. Wow! It looks very much delicious! Sandwich is my favorite anytime. I have never tried chicken sandwiches at home. But it seems to be so easy to make. Will have to try this for sure. Thanks a lot for sharing this recipe. These are really easy to make Lisa, you’ll love them! Mmm delish…I love their sandwiches. Pinning for later. I do too! Thanks Nessa! !